Trainee Charmaine Bennett, 48, used to work in accounting, business administration and events management in her home country of South Africa. Through Gladstone Engineering Alliance’s Skilling Queenslanders for Work program, Charmaine hopes to be able to get back into the job market at the completion of her traineeship. Charmaine and 35 other trainees were recently employed by GEA to take part in an 18-week employment program under the Skilling Queensland for Work (SQW) – Community Work Project. Charmaine said that her family moved to Australia from South Africa four years ago. Since that time she has brought up her family, and now she feels the time is right to secure full-time work. “I’ve been trying to get work for a while now so to get the opportunity to get back into the job market through the GEA traineeship program is of great value and from what I’ve learnt so far I believe I’ll be successful,” Charmaine said. Funded by the Queensland Government the Community Work Skills traineeships assist disadvantaged Queensland job seekers and low skilled workers to gain nationally recognised skills and qualifications. The 36 trainees will work in the Business, Construction and Conservation and Land Management sectors. GEA acting chief executive officer Julie Gelder said the GEA will work with local not for profit Community Organisations to assist the trainees in developing work habits and skills to get them accustomed to being back in the work environment. 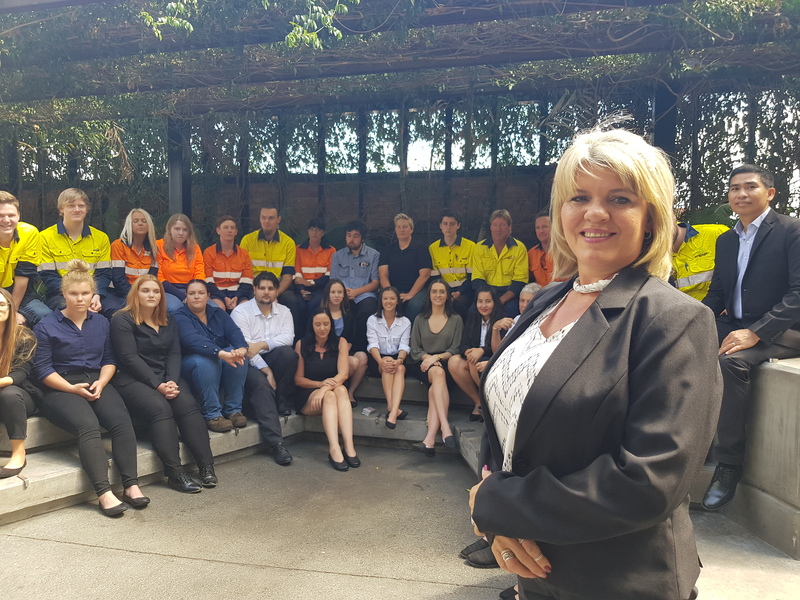 “Through programs like the Skilling Queenslanders for Work programs and the continuous professional development that’s offered, GEA is always working towards our vision of building a highly skilled and capable workforce in central Queensland,” Ms Gelder said.